Carry all your battery management equipment such as a CTEK charger, lap top, batteries and other analysis instruments together with this complete test station. 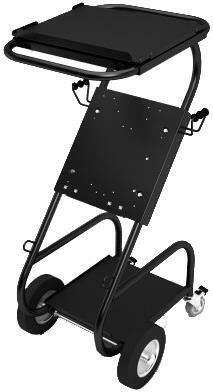 With two large wheels it is highly portable and can be used and maneuvered in small spaces. Includes hooks for handy cable storage.